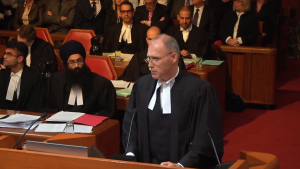 Below is the written text of the oral argument I made at the Supreme Court of Canada on November 2, 2017. Note: The written legal brief “Factum” filed by CCCC in the court can be found here. 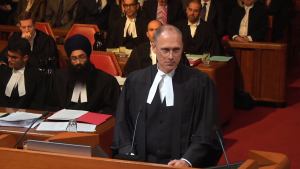 For a video of the oral arguments at the hearing see: The Supreme Court of Canada’s webcast. 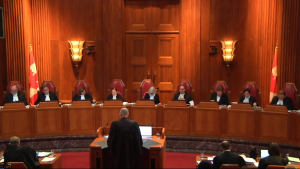 The following oral argument by Barry W. Bussey is found at minute 58 to 1:03. This decision will impact my client’s membership. 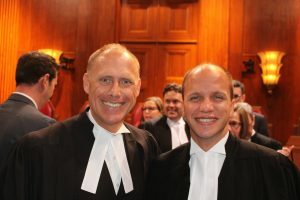 My client submits that the law is not required, nor should it be burdened with the complexities of internal religious disputes. Justice does not require law to extend to private intricate concern of theological controversy. The law does not extend to every nook and cranny of private religious enterprise. Having chosen to be a member of a voluntary religious community the individual chose to live in accordance with the norms of that community and to live with the realization that that community is the ultimate arbiter of their continued fitness for membership. The law ought to respect this individual’s free choice even though, upon the dissolution of the relationship, there may be hard feelings and a loss of camaraderie. Western Civilization has learned through history’s anvil that religious disputations are best left to the adherents. This very week we have commemorated 500 years since the nailing of Luther’s 95 Theses on Wittenberg’s church door. We are all aware of the tumultuous history that followed as the various heads of state took sides on what was, in essence, a theological dispute. We have learned from our history that it is the best course of action for the state to leave internal religious disputes alone. Individually we may sympathize and have compassion with how a religious member’s membership has been treated by his religious community, but our law has no place for such sympathy. Not that the law is harsh or cruel but that the law is just in its realization that a person is free to join or not to join; that a religious community and its norms of membership, rooted as they are in theology and religious history, is to be respected. The Law is not equipped to adequately review private religious matters. 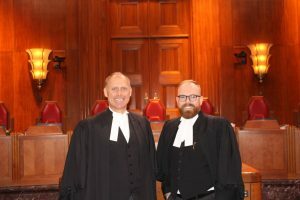 The law has wisely recognized that it is not equipped to engage in theological disputes. Secular law has no privity to the theological and socially contextual complexity of the religious community under review. Our law has no understanding of such matters. Nor, I would suggest, should it. Consider, what might be the result of the law taking on religious disputes. A religious community may argue about the nature of God – whether there is a Trinity. 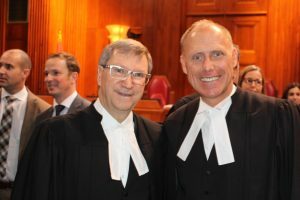 Should the law hear a case about the lack of procedural fairness from those who lost the debate about the Trinity? Debates about metaphysical truth within the context of religion are common. In fact, it might be appropriate to say differences of opinion in religious matters are the norm. Over the centuries religious communities in the West have shown themselves quite adept at handling religious disputes. Unbridgeable differences have resulted in disgruntled members leaving and forming other religious communities. That, I suggest is the mark of a free society – free to enter; free to exit. 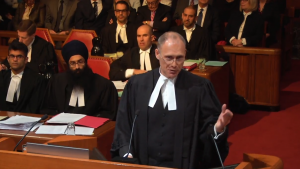 Should religious communities have to be concerned about providing procedural fairness, as secularly understood, it will be an imposition on the religious beliefs and practices. There are currently some 33000 religious charities in Canada. Much of the work carried out by charities is done by volunteers. This works because these people are religiously motivated. In our experience, with our 3400 members we find that government regulations such as filing the annual CRA return the T3010 is a serious challenge for many. They are religiously motivated to carry out the good work of the charity but are not motivated to carry out government requirements. Imposing secular norms of procedural fairness on religious decisions will only take the volunteers from their good works. First, they may not understand the legal nuance and properly carry out the secular norms. Second, they will be hamstrung by disgruntled members who may have an “axe” to grind in a religious dispute. Third, they have limited resources to deal with court actions – their community, indeed our country, needs those resources and energy spent in ministry, not fighting over procedure. Hi David, you are able to subscribe by putting your email into the place indicated on the right side of the webpage at http://www.cccc.org/barry. Make sure only your address is in the box with no spaces before or after your address.